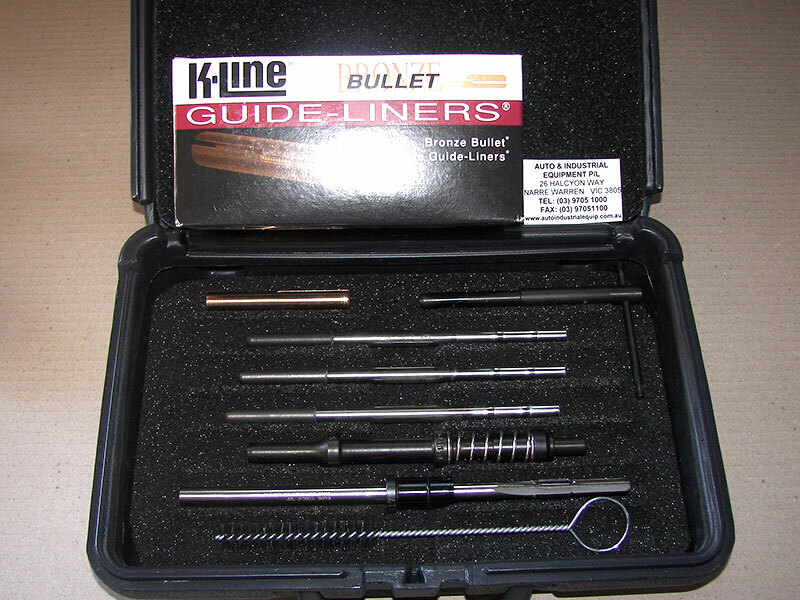 Home / / Why use K-Line Guide Liners? K-Line Bronze Bullet Guide Liners have an interrupted spiral for oil retention. This helps the tighter guide to stem clearance for an improved performance and reduces valve stem sticking. K-Liners have been used for over 40 years and are approved by Ford and GM among other manufacturers. They are simple and quick to install. Nascar teams have used them and various other performance engine rebuilders. We stock a range of K-Line Guide sizes to suit most cylinder heads and installation kits. They are a quality product manufactured in USA.